Joubert, G.R., Leather, H., Parsons, M., Peters, F., Sawyer, M.
As predicted by Gordon E. Moore in 1965, the performance of computer processors increased at an exponential rate. Nevertheless, the increases in computing speeds of single processor machines were eventually curtailed by physical constraints. This led to the development of parallel computing, and whilst progress has been made in this field, the complexities of parallel algorithm design, the deficiencies of the available software development tools and the complexity of scheduling tasks over thousands and even millions of processing nodes represent a major challenge to the construction and use of more powerful parallel systems. 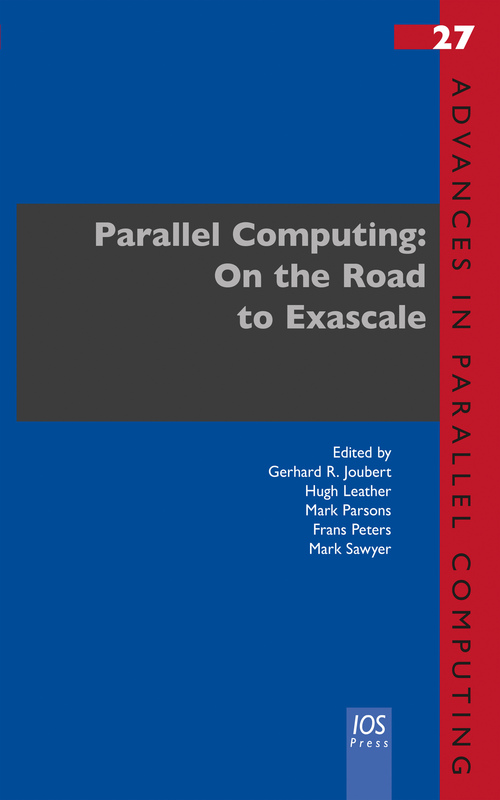 This book presents the proceedings of the biennial International Conference on Parallel Computing (ParCo2015), held in Edinburgh, Scotland, in September 2015. Topics covered include computer architecture and performance, programming models and methods, as well as applications. The book also includes two invited talks and a number of mini-symposia. Exascale computing holds enormous promise in terms of increasing scientific knowledge acquisition and thus contributing to the future well-being and prosperity of mankind. A number of innovative approaches to the development and use of future high-performance and high-throughput systems are to be found in this book, which will be of interest to all those whose work involves the handling and processing of large amounts of data.